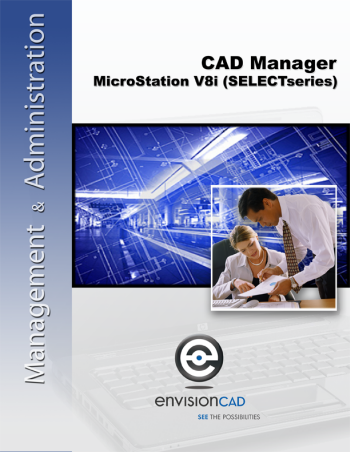 EnvisionCAD is pleased to announce our newest class offering “CAD Manager – MicroStation V8i (SELECTseries)“. The content presented in this training is designed for CAD Managers and Administrators that are responsible for the installation, configuration, and standardization of MicroStation. The CAD Manager will learn how to create and implement standards resources used by MicroStation in a managed workspace environment. This training is not intended for production users. This course requires that the student has a solid understanding of MicroStation. This training is only available for instructor led training. We can also provide this class onsite at your location. Have comments or ideas on other training classes you would like to see? Let us know by commenting below.